There are pilots flying in every part of commercial aviation who have been trained by ATP. These pilots form an alumni group and typically remain in touch with each other and with those of us who have helped them achieve their flying careers. Justin Kaiser is one of those pilots. Justin trained at ATP, went on to instruct for ATP, began flying for Mesa Airlines and has come back to ATP to instruct in the Regional Jet Program. Justin has written a two part article for those who are following him into a great flying career with the airlines to share some of his experiences. You’ve gotten through the interview, succeeded in training and have now completed IOE. All of the hard work may seem to be behind you, but as with so much in flying the hard work is still ahead. The next step is flying the line, which can be quite the departure from the lifestyle you’re currently used to. 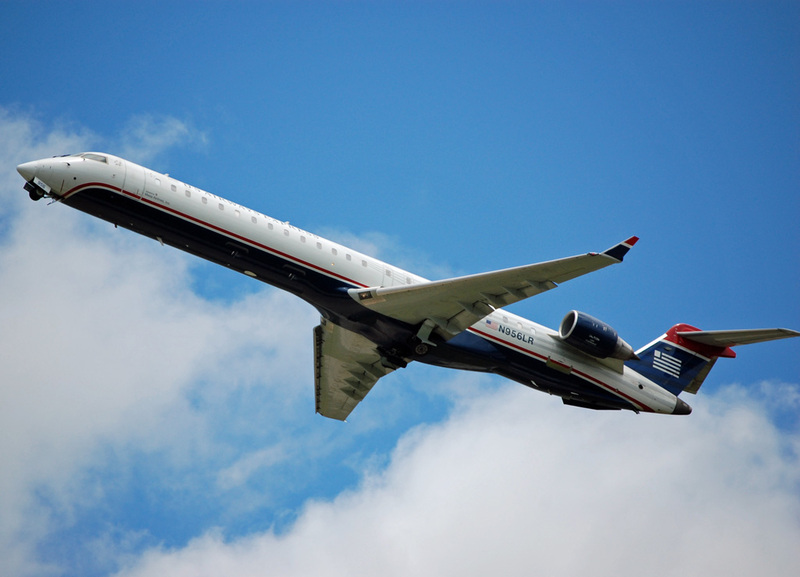 The first year at a regional airline can have its own unique challenges, and rewards. Having some idea of what lies in store can help as you kick start your career. In this brief article I have compiled a list of ten things that I have learned thus far – and some I wish I knew before I started – in my career as a regional airline pilot. 1. Come prepared to train…and stay prepared. Going through airline training is like drinking water through a fire hose. Most training departments know this and do a good job of getting incoming applicants prepared. But coming to training with an idea as to what is expected, such as a basic idea on turbine systems and 121 regulations is helpful. Once out of training, the clock starts ticking toward recurrent training. It is amazing how much information memorized and retrained in training and IOE seems to evaporate by the time recurrent training comes around. Line flying helps to keep the skills sharp, but when you are sitting in the sim, you might suddenly wonder when the last time was you performed a V1 cut, stall or steep turn (hopefully never on the line). But the lack of practice might show, if one doesn’t stay on top of these less than practiced profiles. And remember, the next line check may be right around the corner. It is a good idea to keep the training profiles on hand, and stay up to date with your company procedures that pertain to operating your aircraft. Things like windshear, single engine procedures and stalls are rare enough. But at least once a year you will be required to demonstrate that you are proficient with them, and in truth you’ll want to know how to execute them properly should you actually encounter them on the line! Whether you are taking a pay cut coming to a regional or not, first year pay is limited. Most airlines pay a new recruit during training, but it is important to consider the additional costs of an airline lifestyle. If a pilot doesn’t live in base and is stuck there overnight, he or she usually pays for their own hotel or crash pad. Food costs accumulate quickly, especially on the road. Medicals come around yearly. Parking passes at airports charge up front, and usually for a full year. Some airlines charge for uniforms or additional expenses of new hire training. The point is, coming out of training can be trying financially if one does not have a plan. Some things that I did after writing up a budget, was looked for ways to mitigate expenses on the road. Investing in a small travel cooler allowed me to pack food for trips (including my own coffee along with a travel coffee press – an absolute necessity) rather than eating out every trip, which saved a significant amount of money. When I was on reserve, I shared hotel rooms with other first officers to minimize the cost to all parties involved. These are just a few short examples of ways to save money. 3. Keep your confidence, but have some humility. An old adage in aviation is that “a good pilot is always learning” (refer back to item #1). Nowadays airline recruits must gain 1500 hours following intensive training. For most, this means that the new hire pilot will likely be highly proficient in their respective field of pre-airline flying. That perspective, however, may change with a new aircraft under new regulations in a new style of flying. It will likely take a little time to get comfortable flying an airliner, especially with a captain to your left and a plane full of passengers behind. A few “uncomfortable” landings, a few fumbled announcements are to be expected. Just remember that all of this is part of the learning experience. It is important to have confidence as you perform your duties. But it is also important to be humble, and take the advice and hard knocks as part of the learning process. You’ll be amazed how much you grow as a pilot in a short period of time, and will be all the better for it. 4. Don’t ever forget that you are a crewmember. As a first officer it is part of your responsibilities to get to know your aircraft and your new environment. But it is also important to remember that you are part of a crew, and should always consider giving input. The captains may be pilot in command, but they are not absolute authorities, never to be questioned. Don’t be afraid to speak up if you are uncomfortable, unsure or see something you don’t like. Address concerns, flight considerations, and keep an open line of communication with your captain. Remember, too that information flows both ways; be receptive to input from the left seat. If something goes wrong on that flight deck, both pilots are on the line, and both are responsible for ensuring that the aircraft and all its passengers and crew get to the destination safely. You are fifty percent of the flight crew and have responsibilities to that end. Back your captain up, and make sure they do the same for you. Keep in mind that as a First Officer you are an apprentice toward a career as a captain. As you perform your duties as a FO, take what experience you can and add it to your pilot toolkit. It will be useful down the road. Schedules change. Bases close. Flying comes and goes. Junior assignments happen. For commuters planning a day around getting to or from work is almost an art form. It is important for the airline new hire to be adaptable to these conditions. As you plan your career, be prepared to make some compromises, and to realize just how quickly things can change. I have known people who moved to several bases in just a few years in their career, and others still who have commuted from the same city just as long. As a commuter sometimes you will make your flight to or from work, and sometimes you won’t. It is important to hedge your bets with your schedule and the ever changing schedule of the airlines. On any given trip, I attempt to pack as light as I can (a definite necessity all on its own), bringing enough clothes, toiletries and food for an extra day just in case I get stuck somewhere I wasn’t planning. Keeping a flexible plan ahead of time will make for a less frustrating effort on your part as you plan your month. Part Two will be shared in the next blog.